Will a Dog Be Quarantined for Biting in Indiana? Whether a dog is quarantined for biting in Indiana depends on his rabies vaccination status. Uh-oh. Fido wasn't too friendly, and bit a Hoosier. What's next? If your dog bites someone in Indiana, whether or not he's quarantined depends on his rabies vaccination status. It also depends on where the event occurred, since different cities and towns have their own laws on dog bites. No matter where in the Hoosier state a dog bite occurs, if the dog doesn't have an up-to-date rabies vaccination he's going into quarantine for at least 10 days. If a stray or sick-looking dog bites somebody, Indiana law states that he should be "humanely killed" and the head examined for rabies. If your dog is the biter, you must prove that he has a valid rabies vaccination by providing authorities with the vaccination certificate. In Indiana, knowingly keeping a dog over the age of 6 months without a rabies vaccination is a class C infraction, but if the dog bites someone it becomes a class B infraction. That's the difference between a maximum $500 fine and up to 60 days in jail if you're found guilty, and $1,000 fine and up to six months in prison. Under Indiana law, all reported animal bites must be investigated. The state's official animal bite report form must be completed and filed. The form includes information on the dog, owner, victim, situation and rabies vaccination status. If you are bitten by a dog in Indiana, call the health department in the town in which the incident occurred. You also may call the Indiana State Department of Health. Some states follow the "one bite" law, which means if a dog hasn't ever bitten anyone before, he gets a pass on the first bite. The owner can say truthfully she had no idea Fido might sink his teeth into somebody, and she won't be held liable. That's sort of true in Indiana, unless the dog bites a law enforcement officer. However, there are other laws in Indiana about care and control, which means Fido can't get away with that one bite if you were negligent in the way you kept or controlled him. He doesn't even have to be your dog -- if you're watching a friend's dog and he bites someone, you can be liable. 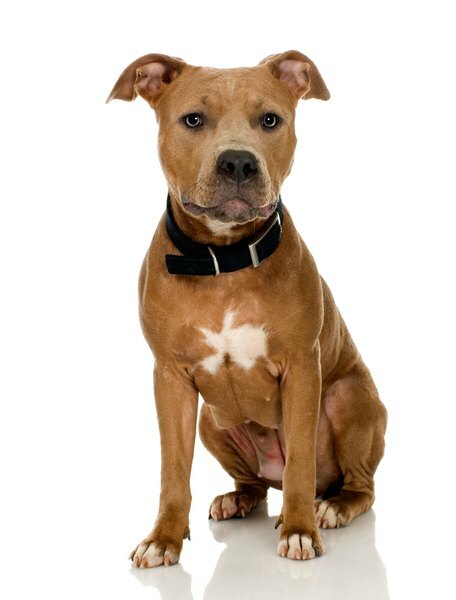 Some cities in Indiana have enacted breed-specific legislation, aiming to ban or restrict the ownership of certain dog breeds - primarily pit bulls or Staffordshire terriers - within its boundaries. The reasoning behind such legislation is that these are considered inherently dangerous dogs. If you want to keep your pit bull in Gary, for example, you'll have to carry at least half a million dollars in liability insurance. Other cities have strict requirements on the type of fencing needed to keep pit bulls on the property and special registration rules. 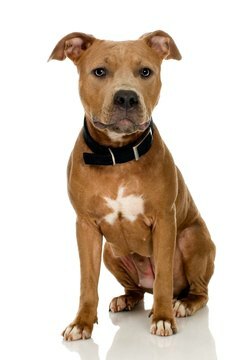 If you live in Fowler, you've got to decide whether to move if you want to keep your pittie, since the breed is banned. Is There Something Wrong With a Dog That Does Not Bark? Does a Labradoodle Need to Wear a Coat in Winter? What Fruits Can My Dog Eat? How Often Should a Dog Visit the Vet? What Are the Repercussions From Dogs Biting Dogs?